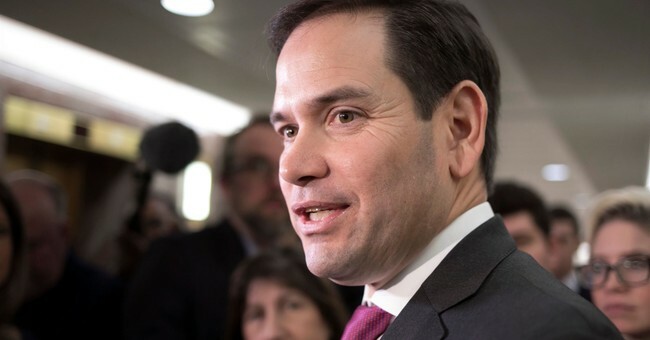 Sen. Marco Rubio (R-FL) this morning tweeted a brilliant analogy on why a border wall is needed in this country by comparing it to that of the Transportation Security Administration's (TSA) role in securing our airports. Obtaining wall funding is now or never as Democrats will soon take control of the House, and the president knows that. "Walls funnel traffic to monitored entry points," Rubio wrote on Twitter. "Airports have barriers to keep people from getting around TSA checkpoints. If we use barriers to keep air travel safe, why wouldn’t we use them to keep country safe?" Airports have barriers to keep people from getting around TSA checkpoints. If we use barriers to keep air travel safe, why wouldn’t we use them to keep country safe? Senator Murphy argues there should be "No wall for the country filled with mostly white people." Here’s where the analogy breaks down. We have TSA at EVERY airport. In an earlier tweet this morning, Sen. Marco Rubio stated that the obstruction to fund the wall on the southern border "isn't about the wall" but rather Democrats "denying" President Trump a win on the promise made on the campaign trail. Rubio then asks in the tweet, why Democrats don't propose the idea to tear down sections of existing boarder wall; if they deem it to be "immoral" to place a border wall on the southern border in the first place. Then, finally, he took aim at the administration stating that the White House "should have told us they opposed" the Senate bill and not wasted Senate members's time on a bill that Trump wouldn't sign.